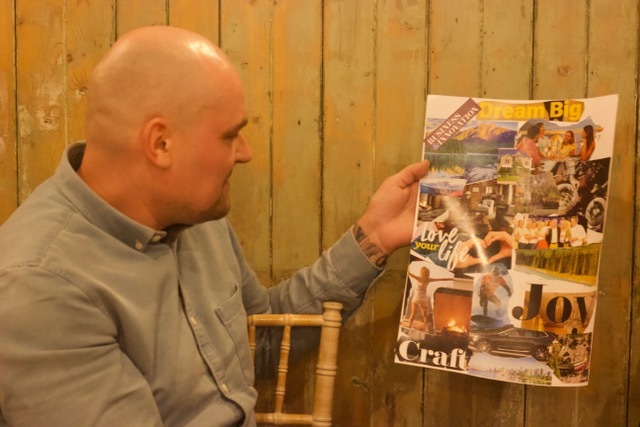 We recently hosted the first Vision Board workshop of 2019 and it was a great success. Tickets sold out and we had a room full of bright and vibrant people who were ready and dedicated to starting the year off in the best possible way. 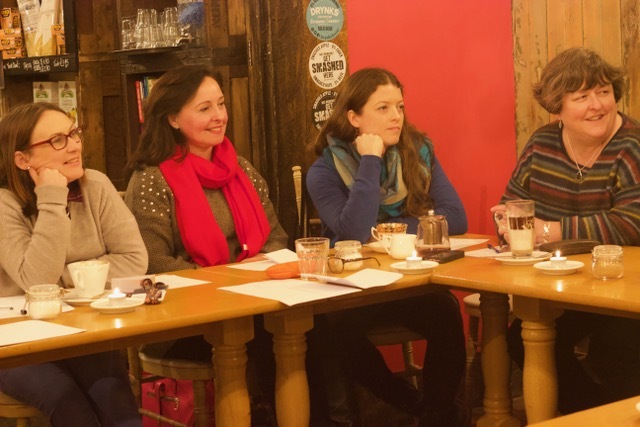 The workshop was hosted in a lovely rustic Italian cafe located in a very colourful and cosmopolitan area of Sheffield. This cosy little shop serving great Italian coffee and tasty treats was the perfect venue for this fantastic occasion. During the workshop we played a few ice-breaker games to introduce everyone in the group and get everyone a little bit relaxed. This was followed by a few goal setting and mindfulness exercises to prepare the group for their individual Vision Board creation. The best part about hosting these workshops is observing the group dynamic that each workshop has. It is truly a pleasure to see how unique each group is and how unique everyone’s individual goals for the year ahead are. 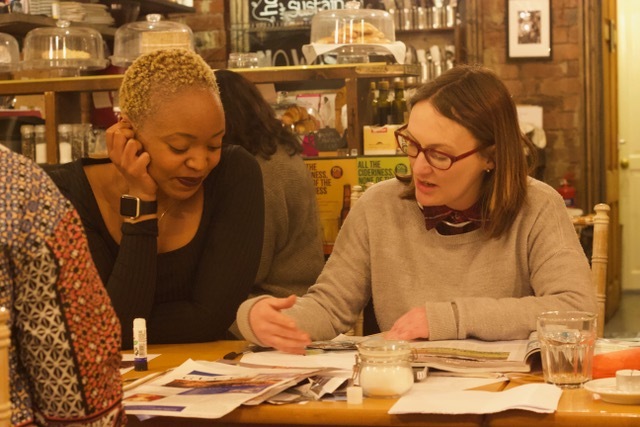 Sharing each other’s goals, visions and personal stories is an important part of the workshops as we believe, this creates opportunities for great networking and fosters strong connections. We finished off the workshop with a gratitude and intention setting exercise, equipping everyone with the right tools, mindset and attitude needed to experience their best year yet! Is your goal for your business to one day have it’s very own building with your company name written across the front? Do you dream of buying a house by the lake with 6 bedrooms, 2 living rooms and a kitchen with a granite top island? Perhaps you want to travel the world and visit all the tropical destinations in the Caribbean and Asia? What do your goals actually LOOK like? Often we have these goals and dreams tucked away in the back of our minds, behind our fears and the endless ‘busyness’ of our daily lives. This simple yet effective tool of visualising or having a visual representation of your goals, is a lot more powerful than you may think. As humans we have the ability to see the future before it actually happens. We can visualise how we believe the world is and begin to make it our reality. The practice of visualising continues to be used by many successful figures and athletes, like Oprah Winfrey & Arnold Schwarzenegger to accelerate achievement of their goals. Today, we invite you to find images that represent your goals, so you can SEE what they actually look like ...because it makes sense. Sign up with your email address to receive Eventie news and updates.